We also have all natural progesterone alternatives using Wild Yam cream and arthritis cream made without synthetic fillers, preservatives and fragrances. 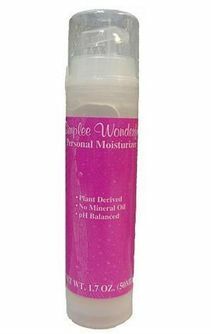 Vaginal dryness can easily be relieved with the regular use of 'Simplee Wonderful' Gel with wild yam extract and vitamin E.
Over half of all women will suffer from vaginal dryness or discomfort at some point during their lifetime. Even though the problem is prevalent during menopause and as the result of a hysterectomy, other women may also choose to relieve dryness experienced during intimate times. Reduces Dryness, Reduces Irritation, Greaseless, Fragrance-Free, Non-Staining.